The Mediterranean diet -- rich in fruits, vegetables, fish, olive oil, nuts and whole grains -- has long been hailed as a heart-healthy eating plan. But new research suggests its health benefits may be limited to the rich and well-educated. For the study, a team of Italian scientists reviewed diets, income and education level of nearly 19,000 men and women. 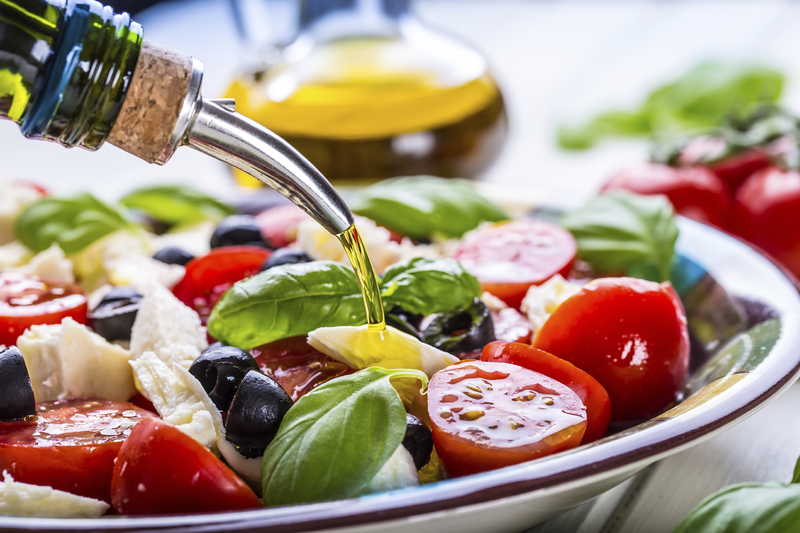 The investigators found the Mediterranean diet was associated with about a 60 percent lower risk of heart disease and stroke among those with higher incomes and more education. The same was not true for those with fewer resources -- even though they followed a similar eating plan. Healthy habits -- such as getting regular exercise, routine check-ups, and not smoking -- are more common among people with higher incomes. But the study findings held up even after the researchers accounted for these variables and others, such as marital status and body mass index (a measurement based on height and weight). Will a Mediterranean diet help you live longer? The team investigated other possible explanations for this healthy diet disparity. The findings showed that the wealthier participants ate less meat and consumed more fish and whole grains than those with lower incomes. The more affluent people also ate a greater variety of fruits and vegetables, which provided more antioxidants and other essential nutrients. The researchers concluded that food quality may be as important for health as how much people eat and how often. "Money may provide access to a larger variety of foods typical of the Mediterranean diet, such as fruits and vegetables, thus obtaining more adequate intake of essential nutrients," said the study's leader, Giovanni de Gaetano. He's head of the department of epidemiology and prevention at the I.R.C.C.S. Neuromed Institute in Pozzilli, Italy. Many of the most nutritionally valuable foods in the Mediterranean diet -- including fish, olive oil and produce -- aren't cheap. "Let's think about a five-member family who wants to attain to the five-a-day portion of fruits and vegetables," de Gaetano said. "This sounds quite expensive." Cooking methods also differed among the study participants. The people with more money and education were more likely to prepare their vegetables in healthier ways, which preserve their nutritional value. Joan Salge Blake is a clinical associate professor and dietetic internship director at Boston University. She said the more affluent "are more likely to have better health care, access to a variety of diverse fruits and vegetables, and an overall understanding about the role of lifestyle and diet in disease prevention." So, she added, "costs and access to healthy foods will clearly impact the quality of a person's diet and lifestyle." Look for variety and sales. When it comes to overall diet quality, the more fruit and veggies on your plate, the better. Choose produce that is on sale, which will stretch your food dollar. Buy in-season. Produce tastes a lot better when it's in season. It's also much less expensive. Bottom line: you're more likely to eat fruit if it's sweet and you'll probably load up on veggies if they are more flavorful. Don't overcook. How you cook vegetables can affect their nutritional value. "Typically, the less cooking time will cause the least loss of nutrients," Salge Blake said. Consider frozen and canned foods. "Canned fish and frozen veggies and fruit are oftentimes more affordable than fresh, and can pack an equal, if not more, nutrient punch per bite," Salge Blake said. Try affordable alternatives. Olive oil is considered a staple of the Mediterranean diet but it's pricey. "Other plant oils -- such as soybean oil -- are healthy and affordable, so you don't have to consume only olive oil," Salge Blake said. She noted the Mediterranean diet contains legumes, such as dried beans and peas, which are extremely affordable. The study was published online July 31 in the International Journal of Epidemiology.